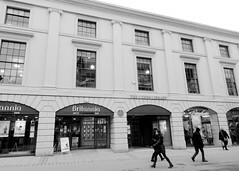 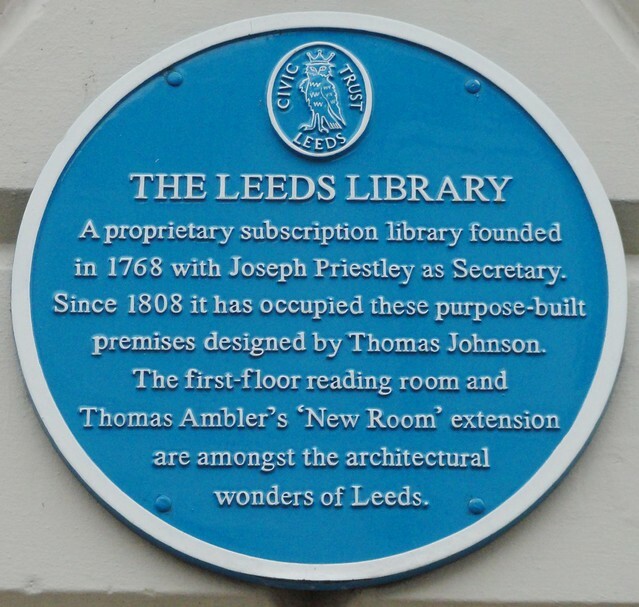 The Leeds Library A proprietary subscription library founded in 1768 with Joseph Priestley as Secretary. 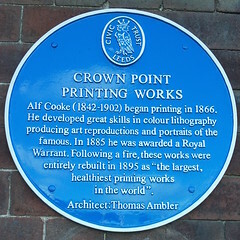 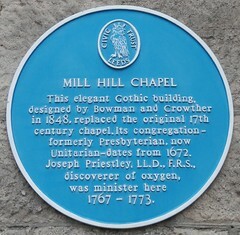 Since 1808 it has occupied these purpose-built premises designed by Thomas Johnson. 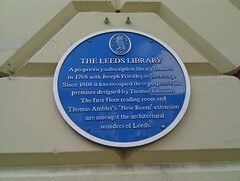 The first-floor reading room and Thomas Ambler's 'New Room' extension are amongst the architectural wonders of Leeds. 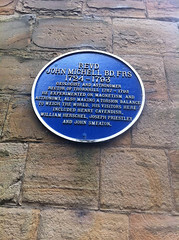 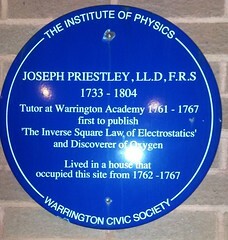 Joseph Priestley 1733-1804 ministered here 1755-1758. 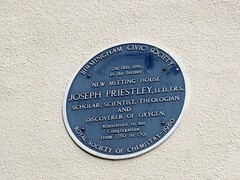 Discovered Oxygen.